Save the date for the Heart O’ Texas Fair & Rodeo, October 3 through Saturday, October 12. The fair is held at the Extraco Events Center in Waco, TX. Fair gate admission is $10 for ages 13 and up, $5 for ages 3 – 12 and free for ages 2 and under. 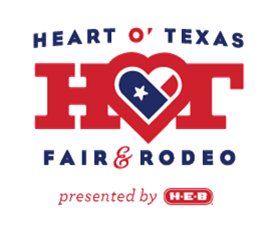 Fair-goers will be able to purchase tickets this year either online at hotfair.com or at the Extraco Box Office at 4601 Bosque Boulevard. The HOT Concert Series is back this year for two amazing nights. First up is KC and The Sunshine Band on Friday, October 4. Opening for KC & The Sunshine Band are The Morticians. Ticket prices are as follows: Front Floor $51; Back Floor and Box $36; and, Mezzanine and Balcony $21. All ticket prices include gate admission to the Fair. On Saturday, October 5, Grammy nominated and five-time Dove Award-winner Jeremy Camp will inspire listeners to surrender everything as he performs on stage. Opening for Jeremy Camp are none other than For King & Country. Ticket prices are as follows: Front Floor $51; Back Floor and Box $36; and, Mezzanine and Balcony $21. Group ticket sales of 15 or more are available. All ticket prices include gate admission to the Fair. Beginning Sunday, October 6, the All American ProRodeo Finals presented by Pendleton Whiskey will begin. This is where you’ll be able to see the year’s top contestants compete for their share of $500,000 which will be awarded on the final night on Saturday, October 12. The Balcony seats in the Rodeo are included in your fair admission ticket except for the last night, spectators that want to be part of this final event will have to purchase a reserve Balcony ticket for $20 which includes general admission to the Fair. This entry was posted on Wednesday, September 4th, 2013 at 7:25 pm	and is filed under Events, News & Updates. You can follow any responses to this entry through the RSS 2.0 feed. Both comments and pings are currently closed.